Convictions of the Heart, is an informative site to help you and your family become aware of the current environmental problems and the personal effects on your health. We support all green merchants and offer a variety of environmentally safe products and whole foods. If we all take small steps towards taking some type of action we can restore the balance, purity and perfection that was originally created before man and improve the health and vitality of ourselves and our planet. Now is the time for you to lead the way. Remember theres only one earth, one sky, and one life. Together we can all make a difference. Convictions of the Heart working with you, is the difference that works! Convictions of the Heart realizes how hard it can be to take the extra effort to make a positive impact on the environment. We have put together a site that is educational and product oriented, so that you don't have to leave your home. We are affiliated with some outstanding products and services. We also offer alternative products that you can purchase through our green merchants, which are environmentally safe and healthy for everyone. By buying these products you are helping the environment and making simple health solutions. Remember, the products you are currently purchasing are pocketing the individuals who care nothing about our environment. 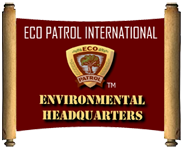 We will donate 5% of our proceeds to Environmental Non-Profit Organizations. Convictions of the Heart aims to inform you about environmental issues so that you have the ammunition to take action. Resources on this earth are limited; therefore we must all work together, take positive action and restore balance, purity and perfection that was originally created before man. One by one, as we join together a new awareness will be created, a new way of living in balance and harmony with the earth. Now is the time for us to lead the way. We hope your awareness grows with the information you are about to read. Remember there's only one earth, one sky, and one life. Together we can make a difference!! Thank you for taking the time to care. Convictions of the Heart, working with you is the difference that works! I was born in Southern New Jersey. I graduated from Rutgers University and received a Bachelors degree in Science. I practiced nursing and radiology for many years. During these years I became more aware of the whys to the many diseases we have surrounding us today. I am a caregiver in a many ways and helping my loved ones through their health ordeals has brought me to a higher awareness path. My mother who I truly love died at the age of 60 from cancer. I am positive her illness was related to the quality of foods and products on the market today. Our environment and health is declining everyday due to the foods and products we purchase. I created Convictions of the Heart as a steppingstone to help all humanity become aware of their health and the beautiful environment around them. My mission will be to create awareness among you and your families so we can all transform our power of knowledge thru educating others. I say, "In order for something good to happen someone has to do something, however that something can't be achieved without a team. You are my team!! I have the passion, strength, and faith to protest for what is right. Join the Convictions of the Heart Team. I promise you we will get results.